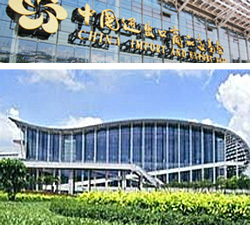 China Travel Service (U.S.A.) Inc has been designated the exclusive travel agent for Canton Trade Fair, the largest Chinese trade fair of its kind in Guangzhou from the beginning of the last century. Through years operational experiences rendering services to our business clients, we witnessed a great increase in the US and China trade. Along with China's opening policy, more and more US companies are investing in China, forming a heavy flow in business travel. As the only official travel company with a Chinese background in the US, we provide services both to corporations and government bodies in their endeavor to build up business relationships with the Chinese counter parts by attending international meetings, trade exhibitions, trade mission trips in China.